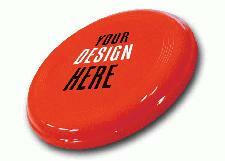 Use a Promotional Frisbee to really put your corporate name out there this summer. Your business details will fly high through the sky and land back in your customer's hands to show your brand off to the beach and beyond. The print area on these promotional items are large and with the bright colours, they won't be easy to miss. Whether you're on the beach or in the park, promote your company with a Promotional Frisbee and everybody will know your name. See our full range of Promotional Summer Products here, with plenty more fun summer items such as our Logo Branded Beach balls! For more information or enquiries on our Promotional Frisbees, send us a message and we'll get back to you.